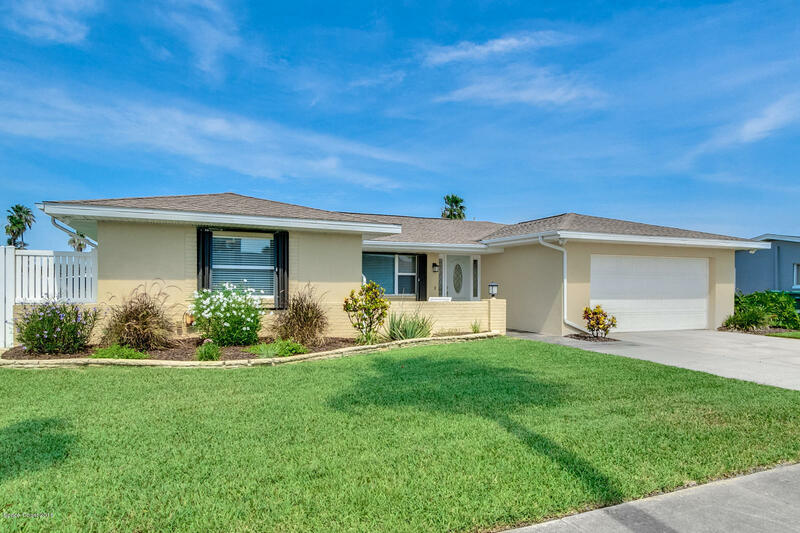 This home is conveniently located just a 1/2 mile from the beach and has over 2000 sq ft of living space. The slate rock patio in the front or the brick patio w/ electric retractable awning is a perfect spot to enjoy your morning coffee or evening beverage. Desiring a pool? Yes, there is plenty of room to add a pool in this spacious lush backyard that is already fenced. This home offers a separate dining rm, living rm and family rm., perfect for entertaining guests. Not to mention the wood burning fireplace (perfect for a romantic evening), surround sound, real hardwood flooring, tile, and no carpet! Newer windows and recently remodeled master bath with walk-in shower and walk-in closet. Love to cook?